Nobody doubts at this point of the importance that social networks have for companies and businesses. Unfortunately, or luckily for those of us who work on this, the networks still do not work on their own, but behind each one there is a person, or failing that, a marketing team carrying a communication strategy. In this sense, it is very important how the message is transmitted, especially when it comes to the social networks of a company, since once issued there is no turning back. Deleting it later sometimes does not help, since there are networks such as Twitter that go so fast and produce an effect so immediate that before pressing “delete”, thousands of people have already read it. 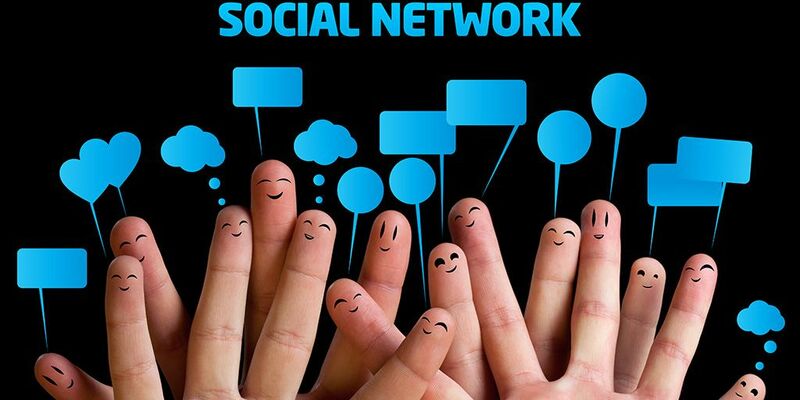 Social networks are a powerful tool for our communication strategies, very valuable for the 2.0 era. That is so if we know how to use them, because if they can not be a double-edged sword. Always try to give the messages of your company social profiles a positive connotation, since the public shies away from the negative, the social complaint, etc. It is always better to publish good news on social networks, and that positive and optimistic image will be transferred to the company or brand. It is necessary to try that the messages have a directed public, and that they are not “for the whole world”, since to segment the hearing it makes that the communication is more effective. If you have an idea about a post, or a publication, do not have to go round and round (see which word is better, if there are two points, or ellipsis …). Nor am I saying that we write the first thing that comes to mind, but the more spontaneous we are, the better, as the audience will feel more natural and close. On the Internet there is a lot (very much) content, but we must be selective. Try to give the user the possibility to read the content, analyze it and not bombard with messages one after the other. In addition, this must be relevant, since not everything that is on the Internet is worth sharing, or be published. In this era, where time flies, and where we are all so busy, we appreciate when a brand or company makes us a selection of what we would not like to miss. Therefore, short, concise, and creative messages are going to make us capture the attention of our audience more quickly. Working in content marketing, and especially in social networks for companies, requires us to be empathetic. This is to be able to communicate what the other wants to hear, and the way he wants to hear it. We must always put ourselves in the place of our audience and make her feel at ease. This is just another step towards achieving success. There is a general tendency towards the publication of posts with fewer words and more images, photographs, infographics or videos. This produces a greater impact on what you want to communicate, and is easier to viralize. Therefore, if you accompany each post with a visual element, you will add a lot. Companies should encourage comments and the participation of their users and clients, since they often have trouble commenting on a post. Put the simplest things for them, and ask your audience for their opinion on a certain topic. When someone comments on a post, or sends private messages, it is important to respond in a period not exceeding 48 hours. Answering these messages makes the company appear as accessible, and transmits confidence and consolidated brand image. For this, nothing better than to also answer negative messages and, above all, never erase them! Sometimes they are deleted thinking that they will leave a negative online reputation. However, brands must follow a strategy of transparent and real communication, accepting all kinds of criticism. It is important that the work is global and that everything is unified. If someone visits your company social networks, and is interested in your brand in some way, give them the possibility to visit your website or blog to capture it as a customer. Put the same effort week after week, even those in which you have not received news. This should not make you fall into the monotony of always posting the same. In the long run it will be the public who will notice or perceive the situation, and get bored too. If we put passion to our work, we will spread it to the rest.